As I walked down the pathway it started to snow, I noticed to the right of me a huge gap and another pathway all mangled up. I overheard a tour guide explaining to some fellow tourists that a minor earthquake had occurred a few weeks before and it had damaged the walkway. It wasn’t surprising really as I was walking in between the continents of North America and Europe! Welcome to Iceland where you can literally walk between the old and new worlds. We had only 4 days in Iceland so we wanted to make the most of our time there. 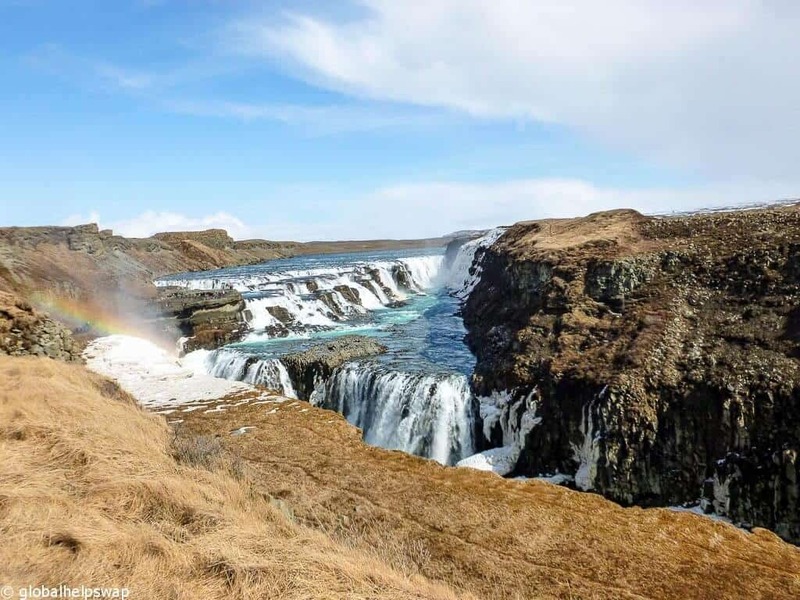 Luckily friends who had visited Iceland the year before told us about the Golden Circle Tour: day trips out of Reykjavik where you get to visit some of Iceland’s natural wonders. So on our second day we got picked up at our hotel and ventured out into the unique wilderness of Iceland. Our first stop was at the Geysir geothermal area, a natural landscape that wouldn’t look out of place on the Moon or Mars. 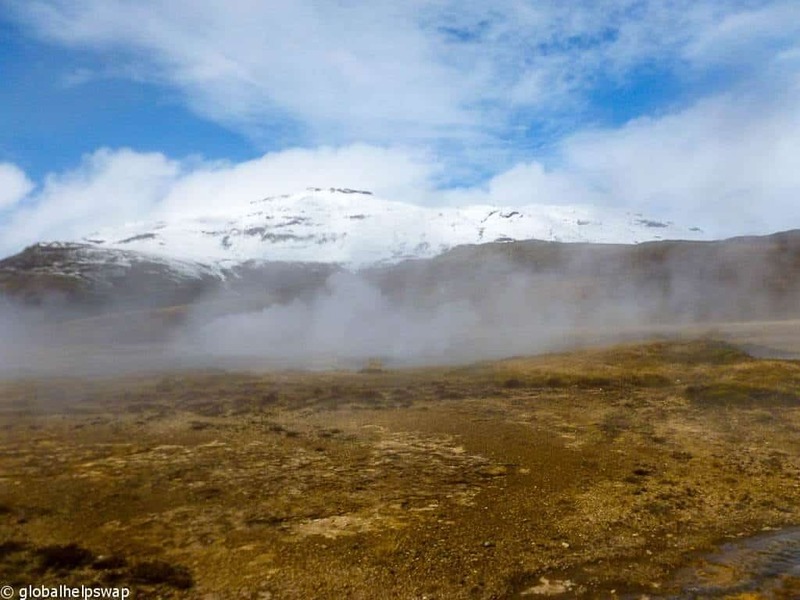 The landscape is full of bubbling mud pools and shooting hot springs. I felt like an astronaut as I crossed the plain. 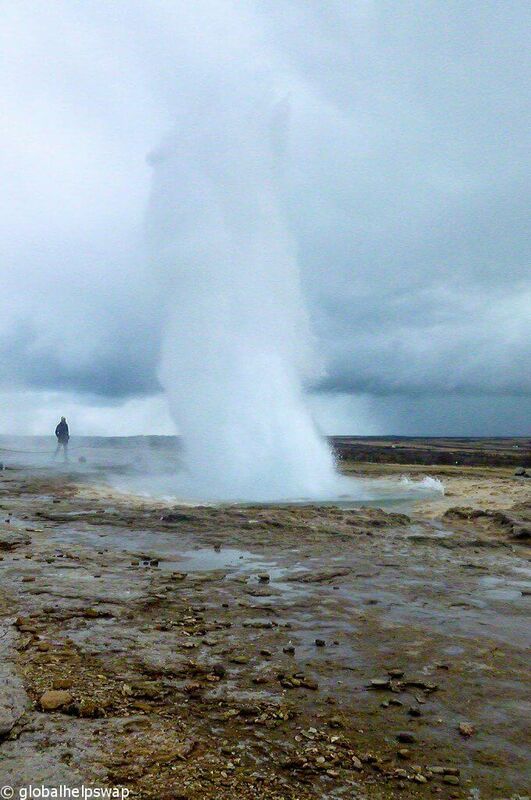 The Great Geysir fell dormant around 1916 only once awakening in 1935 to let off some steam. In its heyday it would shoot water up to 80 meters high which must have been an incredible sight. Ironically one of the reasons why scientists believe it fell dormant was because of thousands of tourists throwing stones into it. Why can’t humans just leave things alone? Strokkur (meaning the churn) Geysir is still going strong however. Every 4-8 minutes she (I have decided she is a she okay) shoots steaming hot water 20 meters into the air. As I stood and watched this natural spectacle, I realised how alive this planet really is. Right below my feet there are forces at work that could destroy vast cities in minutes. We like to think we can control everything but every now and then mother nature shows who is boss. This was a humbling start to our Golden Circle tour. Next up was Gullfoss Waterfall. Who doesn’t love waterfalls? I am yet to meet a person that says they don’t like them and Gullfoss Waterfall is one of the most impressive I have seen. 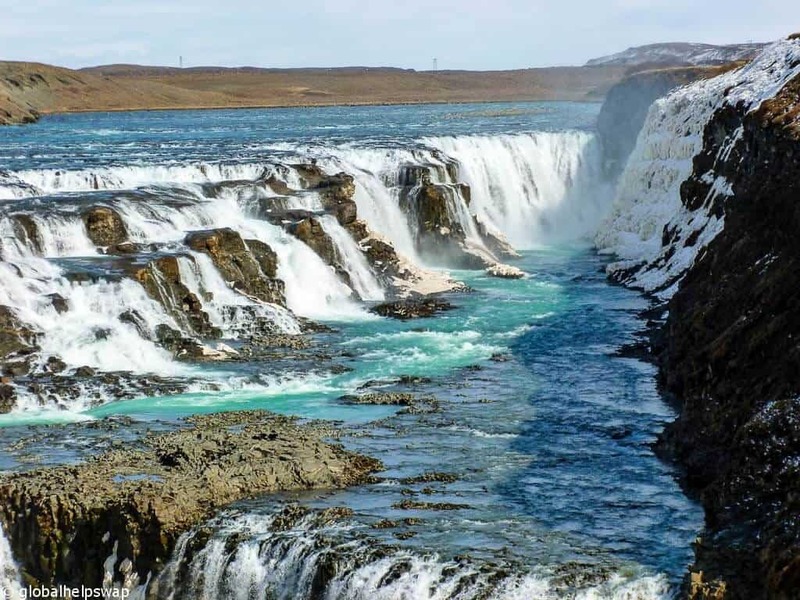 The waterfall is set on the Hvítá (white) river which is fed by Iceland’s second largest glacier, the Langjökull. The water falls down 32 meters in two stages into a rocky canyon with walls that can reach up to 70 meters. Again the terrain here is very otherworldly, you have the brilliant blue of the river and sky and then this barren landscape all around you. On sunny days you can get a rainbow over the waterfall. When you get here, take a walk around as there are some great places to take photos from different elevations. North America on the left, Europe on the right. Last but not least brings us back to that walkway in between the two continents. 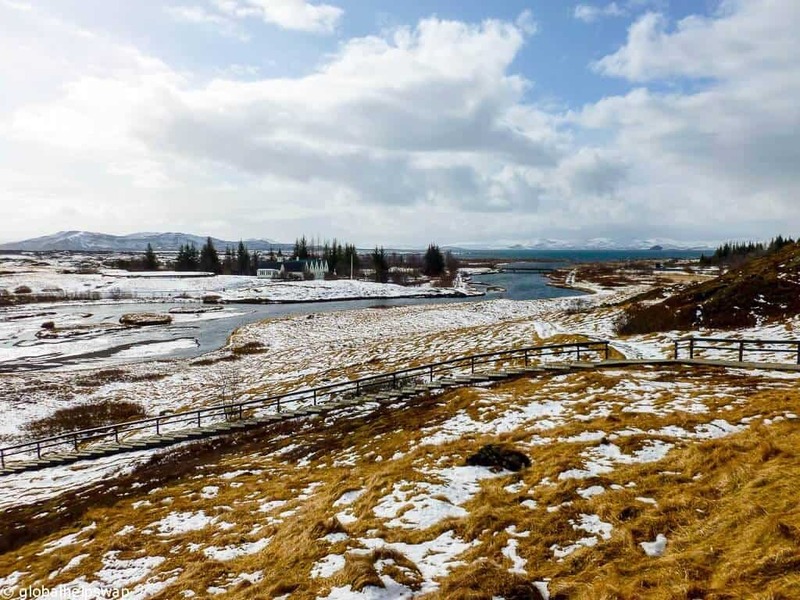 Thingvellir National Park is a UNESCO world heritage site that sits on the mid atlantic ridge. It became a national park in 1928, making it one of the oldest national parks in Europe. Once again, like all over Iceland, the landscape is stunning but that is not the reason why this stop on the tour is so important. Þingvellir literally means Parliament plains, that’s because Iceland’s first parliament was located here. It began in 930 and lasted until 1798. What I love about travel is that you never stop learning. I never knew that Þingvellir is the oldest parliament in the world. I always presumed that would be in Greece. 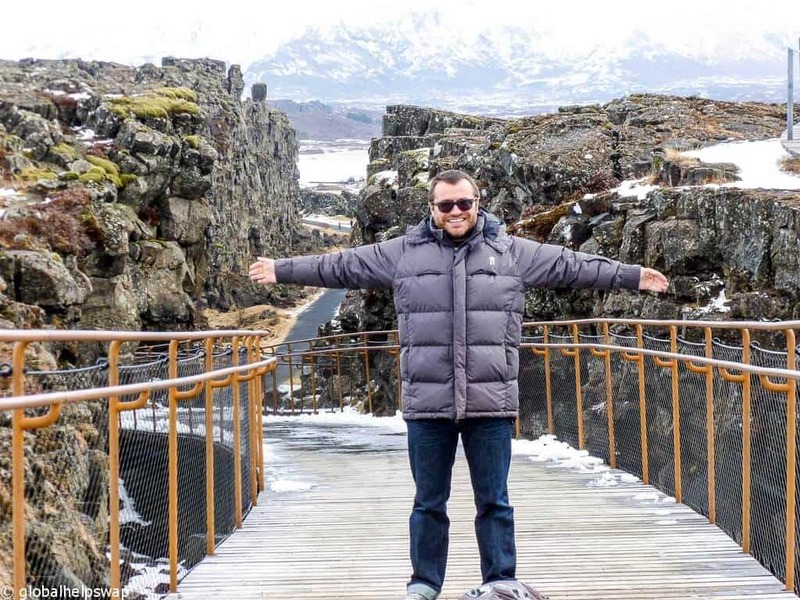 If you are looking for the heart of Iceland, then Þingvellir is the place to visit. There are many types of Golden Circle tours in Iceland, some longer than others. 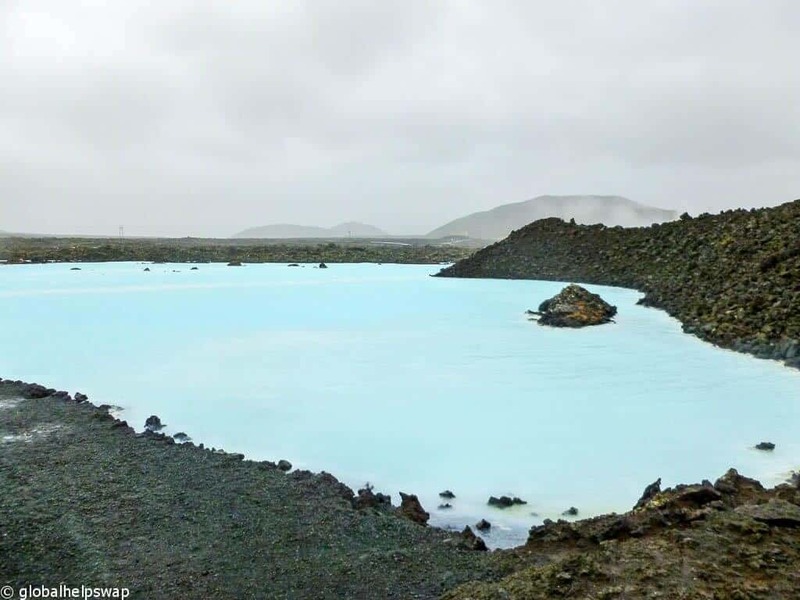 The most iconic spot in Iceland is the Blue Lagoon. Now we didn’t include it on our tour as we wanted to spend longer in the hallowed waters but you can include it if you want. 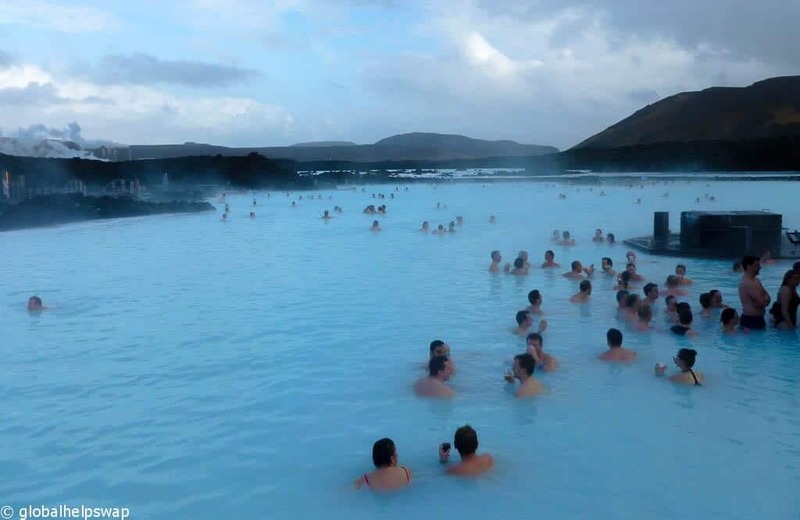 There are some popular tourist spots around the world that are popular for a reason and the Blue Lagoon is certainly one of them. When we visited the weather was quite cold and rainy, perfect for a day soaking in soothing hot springs. Even though the blue lagoon gets quite busy, the place is so large it never felt that way. Once again, I was awed at the fact that here I was sitting in warm water, surrounded by an alien moonscape putting silica on my face, all because of mother nature. Iceland is a nature lovers paradise but it is a nature that is quite unique to this island in the north Atlantic Ocean. If you are looking for a short trip where you get to witness nature in its rawest form then Iceland is for you. Just make sure you mind the gap! It’s amazing to read your blog! I didn’t know about such a beautiful place in between Europe and North America. Great Pictures & Useful Information. There are many things to see and do in Iceland. 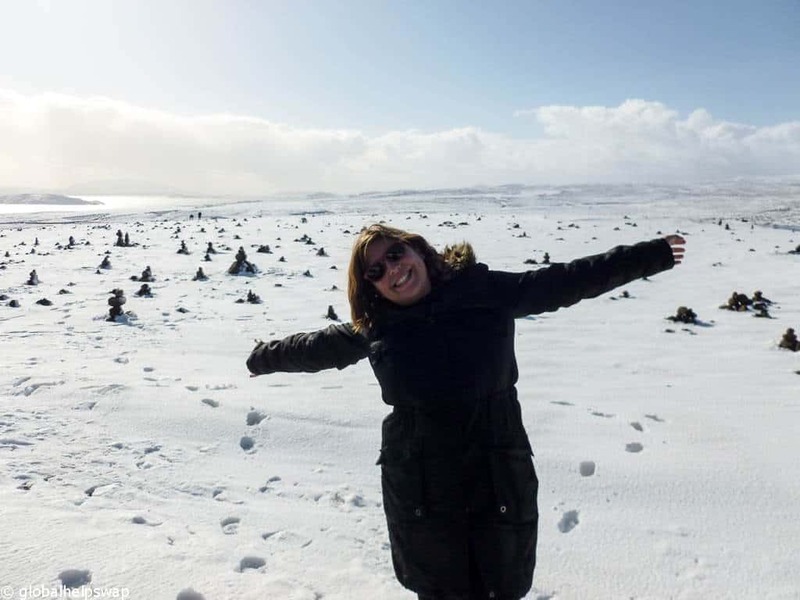 When visiting this beautiful country, Viewing golden circle is most people’s primary purposes. Last year I had visited this land with my hubby at that time we did the golden circle on a minibus tour with Discover Iceland. Our trip was superb. Great read, we have visited Iceland and done that trip , just amazing . Thanks for the comment, we are glad you liked it! We totally agree, we really need to go back and see more. Wow the scenery is awesome I like to watch the clouds drift, I want to save my mark with the photos with it. I will share these interesting places with my friends. Thanks for the information you shared.